Rupert Murdoch’s News Corporation and Telstra Corporation are lending money to their cashed-up pay TV business Foxtel at 12 per cent, claiming tax deductions on the loan and lending the money back to themselves at an interest rate of zero. An investigation by Fairfax Media has found this irregular transaction helped the Foxtel Partners reduce their tax in Australia, but the ATO seems to have missed out in taxing the interest income. Both companies have responded by saying they comply with tax laws although neither was prepared to address specific questions on the Foxtel transaction. The $902 million loan appears even more peculiar in light of its high fixed rate and duration, 15 years, and the fact that Foxtel is highly profitable and does not need to borrow that sort of money. Further, Foxtel has refinanced other loans since the Foxtel Partner’s arrangement was struck in 2012 but not this loan. 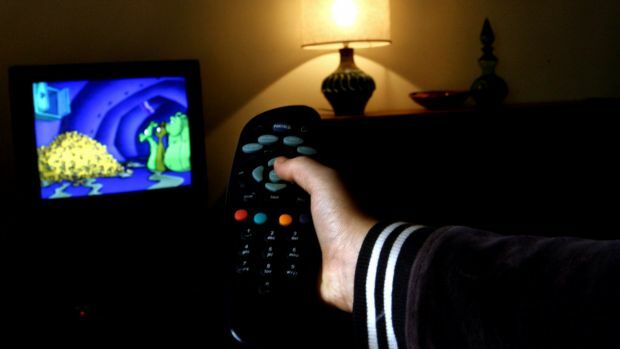 Debt experts told Fairfax Media that Foxtel – a pay TV monopoly acting under government mandate – should be borrowing at less than 4 per cent, one-third of the 12 per cent rate it is paying its parent companies. News Corp is no stranger to controversy on the tax front. It was awarded a tax rebate of $880 million in 2013 after winning a case against the Australian Tax Office (ATO) in the Federal Court. The large rebate sparked controversy as the Tax Office elected not to appeal the case at a time when the federal election campaign was in full swing, Murdoch’s newspapers were backing Tony Abbott for prime minister and Mr Abbott was ahead in the polls. Former tax officials have told Fairfax there was angst within the Tax Office following the decision not to appeal the case. Earlier this month, News filed its submission to the pending parliamentary inquiry into corporate tax avoidance. Its executives are likely to be called to appear and testify as to the nature of the company’s tax structures. Along with other multinationals being targeted by the inquiry, News says its activities are legal and independently verified by auditors, Ernst & Young in this case. “These facts demonstrate that we are incurring and paying substantial tax on our operations in Australia,” said the News submission by chief executive Julian Clarke. This appears to be the case, at least as far as its stated pre-tax profits go. On a deeper analysis however, over the past five years the group’s tax minimisation tactics facilitated $1.24 billion in transfers to other companies within the global group in interest payments on loans alone. News declined to identify which entities made the loans. “The loan was struck in April 2012 on commercial terms for a subordinated long-term loan, based on external independent advice,” a News statement said. “The News Corp entities that made the loan are Australian companies, subject to Australian tax law”. News Corp’s companies in Australia don’t make their financial statements available to the public. Piecing together information from News Corp Australia’s disclosures to the Senate inquiry, and comparing these with the disclosures of the Murdoch empire’s parent company to the Securities & Exchanges Commission in the US, it is possible to glean a picture of profitability versus tax. Last year News recorded $2.57 billion in revenue from Australian operations and paid tax of about $60 million. We don’t know the precise figure because New Corps submission conflates its own income tax payments with withholding tax payable by its non-Australian companies. Its pre-tax profit was declared at $356 million but thanks to interest expense on related party transactions, that is transfer pricing to offshore related companies, its tax bill is greatly reduced. No year-by-year breakdown is disclosed but related party interest expense for the past five years stands at $1.244 billion. In other words, the billions of dollars in loans which News has struck with its related companies – many presumably in tax havens – have brought down its exposure to the ATO by $1.2 billion. Over five years, News has paid $292.5 million in income tax on its Australian operations, from the entity it refers to as News Corp Australia. The Foxtel accounts disclose the partner in Foxtel Group as News Corporation in the US. That seems odd given it would cause News Corporation to be operating through a permanent establishment in Australia and is therefore obliged to lodge a tax return here (which it doesn’t). The Foxtel consolidated accounts also don’t eliminate the loan from the partners so we don’t believe the loans are coming from the same legal entity that is the partner in the partnership. Of greater concern is the fact that that loan to the Foxtel Group is being used to grab a tax deduction at 12 per cent and because the drawings exceed equity, the Foxtel Group has made a loan back to the News Corp group tax fee. Telstra is pulling the same stunt and is therefore assisting News Corporation with its tax dodge. The partners, Telstra and News, have each lent $451 million to the Foxtel Group, but because drawings have exceeded profits, the group has in effect, lent the negative equity amount of $432 million or $236 million each back to the partners. So they lend to the group at 12 per cent, get a tax deduction and then lend back to themselves interest-free. Last year, the 12 per cent delivered $108 million in interest payments from Foxtel to the ultimate beneficiaries in News and Telstra – whoever they are. The essential question in all this from a tax perspective is whether interest on the Foxtel transaction is deductible. Under Part 4A of the Tax Act the “dominant purpose” of a transaction must be commercial. That is, its dominant purpose must not be to get out of paying tax. Given the loan – to a party which doesn’t need it – is then borrowed back at zero per cent, even after tax deductions are claimed, the term “sailing close to the wind” is probably a euphemism. Does the Tax Office know about it? It relies on the information in the tax return, voluntarily proffered. It also relies on information being public and properly disclosed (this is why the corporate lobby is strenuously opposing proposed measures to increase transparency). Enough information can be found publicly, as demonstrated here, to establish that the deal looks highly suspicious. Further, journalist Glen Dyer highlighted the astronomical 12 per cent rate in an article in Crikey last year. Now we know the money is flowing back for free. What we don’t know is the identity of the ultimate beneficiaries. Telstra tells us that “Telstra Corp” was the issuer of the loan to Foxtel, its portion at least. But the Telstra response was so brief and dismissive that it was hardly credible. News Limited put more effort into its response and carefully avoided the question of the actual entity which provided the loan. Was it from a tax haven? We don’t know yet. Telstra has subsidiaries in most of the major tax havens, but there is only one company using the term Telstra Corporation and that is the parent, Telstra Corporation Limited. Telstra Corporation Limited would have paid tax in Australia on the interest income. It appears that only News Corporation could have benefited directly from the avoidance of Australian tax as a result of the arrangement, but if it is the partner as described in the Foxtel accounts, how does it avoid having a permanent establishment in Australia and therefore an obligation to pay tax in Australia on the interest Foxtel paid to it? The Foxtel Group booked the 12 per cent interest as an expense. We are told that it was Foxtel Management Pty Ltd that is the borrower so if that is correct it would have claimed the tax deduction for the interest. The net profit after tax of the group companies is consolidated into the Foxtel Group accounts and each partner’s share of that consolidated net income or loss is included in the partner’s income. On the receipt side of the 12 per cent we are told that it was Telstra Corp that lent the money. We are told that Telstra’s interest profit share is included in the parent company’s (Telstra Corp) stand-alone accounts. If this is correct, it’s a zero sum game for the ATO because it allows Telstra’s share of the tax deduction and then taxes the interest received in the Telstra tax return. If it’s only in the consolidated side of the Telstra Corp accounts, but was actually booked by an offshore subsidiary, then the ATO misses out on taxing the interest despite having allowed a tax deduction. We don’t know what Telstra put in its tax return with regard to share of partnership net income after tax, but it could not be too much if they made no change to the distribution booked for accounting purposes which we know includes a temporary return of the loan, described as a cash distribution. Normally, it should have been booked as a loan back, but partners in a partnership can’t lend to themselves. That seems to be why, in the consolidated Foxtel accounts, it is treated as a distribution to create negative equity. This is unusual practise and casts doubt upon the Foxtel equity statement. It should be booked as a reduction of the loan to Foxtel Management, but that might cause a problem with the senior debt holders because the terms of the subordinated loans are that they must remain in place until senior debt has been repaid. This problem simply highlights the fact that there is something odd with the whole decision to use subordinated debt instead of equity to fund the 2012 acquisition of the Austar stake. On the News Corp side, they originally had 25 per cent of the partnership when Foxtel made its 2012 acquisition. Someone wanted subordinated debt rather than equity and News seems to be the most likely partner. News didn’t have control of the partnership but they all had to act jointly. News probably had the effective capacity to veto the equity option. The facts are they agreed to subordinated debt. Foxtel was always going to have more cash than it needed given the intended third party borrowing structure. The senior debt seems only to have demanded a deferral in repayment of subordinated debt until they have been repaid but strangely left open the partner’s ability to distribute cash to themselves and create a negative equity situation. Anyway, having achieved the high interest rate debt option, News would benefit if that debt is held by an offshore subsidiary so that only 10 per cent withholding tax is deducted and (unlike what we have been told about the Telstra side) Australia would then miss on the tax that News Corp would be required to pay in Australia if it had injected equity through an Australian equity partner. We don’t know which company is the lender. We also don’t know which company is the partner. Foxtel says that News Corporation is both, but that would mean News Corporation would have a permanent establishment in Australia and be taxed on both the profit distribution and the interest. In its submission to the Senate, News Corp Australia – which is not a legal entity but rather an “umbrella group title” told us how much withholding tax the group paid in Australia. We know that Australian companies only acted as agents for the lender in paying it, so perhaps News Corp can advise the ATO which News Corp companies were obligated to pay Australian withholding tax out of the interest they received, which one provided the finance for the Foxtel Group and what is the country of residence of that company. Whatever the case, the facts remain that Foxtel doesn’t need the money being foisted upon it. It seems evident that such adverse terms are not in the best interests of the companies in the Foxtel Group. It seems the partners have refused to put in equity but that third party banks have agreed to go along with this adverse financing package provided the partners’ debt is subordinated. The notes to the accounts of Foxtel show the list of loans and interest rates. The highest rate on third party loans is 7.04 per cent. They also show other successfully renegotiated loans to achieve a lower interest rate. Why then did they not renegotiate the shareholder loans down from 12 per cent as a first step? This story is based on analysis by expert in multinational financing.